Members shop directly with Lowe’s, Sherwin-Williams, and other preferred partners and SAVE. 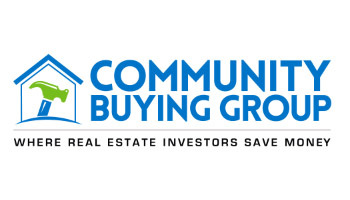 Community Buying Group is a program built for real estate investors by a real estate investor. Novice or expert, we have member-only perks to build your business and save you money. We call it “Getting Hammered.” Take advantage of these benefits and join now. You’re leaving money on the table if you overpay for materials and services. That’s why we built a program with the national suppliers you know and trust. Profit is created in the operation of your business. We’re here to save you money on the things you buy everyday so you can increase the ROI of your properties. Sign up HERE or visit https://www.communitybuyinggroup.com an use our Group ID: DELREIA1015. Contact admin@delreia.com with any questions.